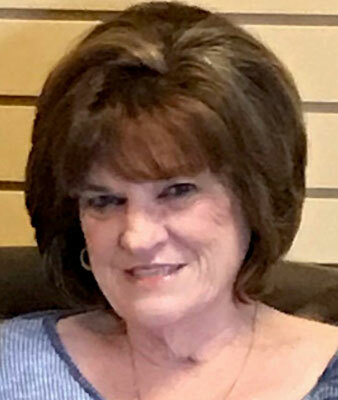 VIENNA - Elaine Jean Speziale, 70, formerly of Canfield, died unexpectedly with her family at her side, Tuesday evening, Dec. 4, 2018, at St. Elizabeth Hospital. Jean was born Jan. 31, 1948, in Philippi, W.Va., a daughter of Teddy and Betty Alkire Humphreys. Several years later, Teddy and Betty and their family made their home in Hubbard. Jean later resided in Liberty for 30 years and then Canfield for 25 years. Jean was a graduate of Hubbard High School, class of 1966. She worked at Packard Electric from 1967 until 1983. In 2008, she was employed in the paint department for General Motors and was a member of the U.A.W. Local 1112. She retired in 2014. A survivor of polio, Jean was grateful for lifes gifts. She was a devoted wife, dedicated mother, adoring grandmother and loyal sister; she cherished her time with family. She was generous with her compassion for others and her heart went out to those in need. She had a passion for singing and dancing, (she met her husband, Sam, at the Idora Park Ball Room) appreciated delectable cuisine, and had the rare gift of choosing the perfect greeting card for her familys special occasions. She was a former member of the Baptist Gospel Tabernacle in Liberty. Her husband, Sam, whom she married Sept. 7, 1968, died Aug. 12, 2012. Jean leaves her step father, Oliver Paul of Keller, Texas; one son, Samuel (Becky) Speziale II of Boardman; two daughters, Jeanne Speziale of Boardman and Sherry (Joe) Land of Erlanger, Ky.; six sisters, Sue (Dan) Nesterick of Mt. Pleasant, Tenn., Betty (Don) Youngblood of Canfield, Terri Anderson of Boulder, Colo., Kathy Potemra of Norman, Okla., Cathy Bivelacque of Boynton Beach, Fla., and Deanne (Tim) Schroeder of Keller, Texas; one step-sister, Kathy (Jim) Gunning of Westville, Ind. ; one step-brother, Tom (Cindy) Paul of Warren; one brother-in-law, Joseph (Karen) Speziale of Lowellville; eight grandchildren, Christopher and Matthew Mays, Gianna Speziale, Brianna Cross, Joseph, Peyton, Elijah and Walker Land; three great-grandchildren, Jonathon, Bentley and McKenzie Mays; and numerous nieces and nephews. In addition to her parents and husband, Jean was preceded in death by one brother, Don Humphreys; one step-sister, Pam Welke; and one sister-in-law, Judy Mercado. A funeral service celebrating Jeans life will be held Monday, Dec. 10, 2018, at 11 a.m. at the Davis Becker Funeral Home in Boardman with Pastor David Watkins officiating. Interment will follow at the Lake Park Cemetery in Youngstown. Friends will be received Sunday from 4 to 7 p.m. and Monday from 9:45 to 10:30 a.m. at the funeral home.